Salivary gland infection is painful and is known as Sialadenitis. When there is an infection in the parotid gland, it is called Parotitis. Bacteria and viruses are the main cause of salivary glands infection. The parotid and submandibular glands are most commonly affected. The infection causes pain, swelling, and reduction in the rate of salivary flow. Moving ahead in this article, we will understand different causes, symptoms, diagnosis, and treatment of salivary gland infection. 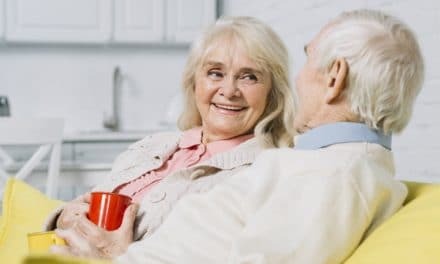 Also, we will know how simple activities like drinking enough water or maintaining good oral hygiene can help prevent salivary gland infections. What does salivary gland infection mean? The salivary glands that are present in our mouth are known as exocrine glands whose main function is to secrete saliva. The major salivary glands are arranged in pairs and known as parotid, submandibular and sublingual salivary glands. The salivary glands secrete saliva and lubricate mouth and teeth and also contain enzymes which aid in the digestion of food. Salivary gland infection caused by bacterial or viral infection results due to a reduction in the flow of saliva and affects the salivary gland or duct. Blockage or inflammation of salivary decreases the rate of flow of saliva. The primary function of the salivary gland is the production of saliva. Saliva contains antibodies, lysozyme, etc. which help fight against bacteria. But when a person suffers from the dry mouth, the production of saliva is impaired. Inadequate production of saliva makes it easy for pathogens like bacteria and viruses to multiply and cause infections. Other causes of salivary gland infection include conditions which lower or weakens your immune system such as mumps, HIV or autoimmune disorder like Sjogren’s syndrome. Bacteria like staphylococcus, streptococcus, mumps and herpes virus are common pathogens which cause salivary gland infection. Staphylococcus aureus is the most common pathogen causing salivary gland infection. Staph aureus is present normally in our body and kept in check by our immune system. The infection causes pain, swelling, redness. The pain increases while chewing. Blocked salivary ducts cause a reduction in the flow of saliva and person might get a dry feeling in his mouth, described as “pasty” feeling in the mouth. Even after maintaining good oral hygiene you may feel the presence of foul breath. Salivary gland infection can cause difficulty in mouth opening known as trismus. Pain due to infection makes mouth opening difficult and simple tasks like eating and talking can cause pain. If there is an abscess due to infection, then pus could ooze out from the region where the salivary gland duct opens into the mouth. You may experience mild fever due to infection. If you experience high fever or chills, then it may be a sign of an emergency. The symptoms of salivary gland can coincide with other similar conditions, but in any case, you should contact your doctor immediately for the next line of treatment. If you experience high fever, difficulty in breathing or swallowing, then you may need emergency treatment. Presence of pus near the location of salivary gland or the region being tender to touch is an indication of bacterial infection. A biopsy is also done at times to diagnose if bacteria or viruses caused the infection. Salivary gland infection resolves on their own in some cases, and you may not need any medications. 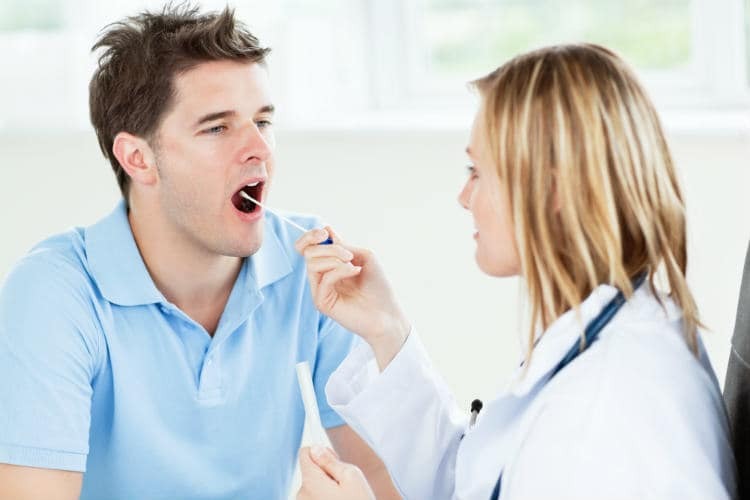 Different types of salivary infection are treated differently depending on the cause. Brush your teeth twice daily and floss every day. Also, using an antibacterial mouth rinse can help prevent infection of the salivary glands. 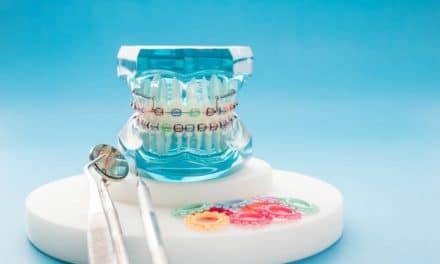 Also visit your dentist twice yearly, your dentist will be able to detect any abnormality in the initial stages itself. Drink lots of water and stay hydrated. Dehydration reduces the flow of saliva and increases the chances of infection of the salivary gland. Mumps vaccine can prevent mumps infection. Mumps causes infection of the parotid gland. If a person has taken the MMR (Measles, Mumps, and Rubella) vaccine during childhood, he should do so again during adulthood. Smoking causes dry mouth due to which there is a decrease in the production of saliva. Dry mouth makes the oral cavity prone to infections by affecting salivary flow. Salivary gland infections are treatable. Just do your part by staying dehydrated, going for a dental check-up every six months and maintaining good oral hygiene. If you are diabetic or have some other condition then take your medicines on time and follow your physician’s instructions to avoid serious infections of salivary glands and in general. 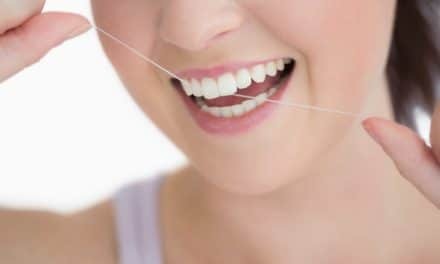 Waxed Vs Unwaxed Floss – Which One to Choose?